Mountaineering books: Mountain Books: for sale, rare, secondhand and new: Mount Everest Books: libri montagna: livres montagne: libri alpinismo: Monte Bianco livres: Monte Rosa libri: Cervin libri: since 1976 Mountaineering books bought and sold. Collections purchased. Mountaineering Books for sale. 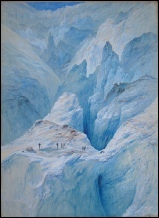 Mountaineers have always written of their adventure in mountaineering books. 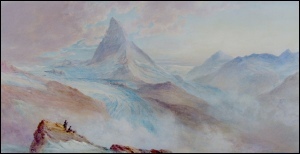 Edward Whymper was the first to climb the Matterhorn. Paccard and Balmat reached the summit of Mont Blanc in 1786. But it was Albert Smith who introduced the public to the wonders of mountaineering. Before the formation of the Alpine Club he alone performed the Mont Blanc Sideshow until 1860, having ascended the mountain in 1851. Mountain books from the Golden Age. Climbing Mount Everest became a national obsession in the 1920's and when Mallory and Irvine lost their lives an inexhaustible interest was created in the highest mountain in the world, first ascended in 1953 by Sir Edmund Hillary and Tenzing Norgay Sherpa. The sometimes dangerous exploration of mountains and the history of mountaineering has been recorded in literature since the beginning and continues to this day. Many mountain books published over the years are available for sale here. If you cannot find the mountaineering books that you are looking for me then please contact me. Other authors of mountaineering books include George and Ashley Abraham, Walter Bonatti, George Band, Dougal Haston, Arnold Lunn, Gwen Moffat, Jan Morris, Wilfred Noyce, Jim Perrin, W.A. Poucher, Gaston Rebuffat, Audrey Salkeld, Joe Simpson, Frank Smythe, Showell Styles (Glyn Carr), John Tyndall, Stephen Venables, Geoffrey Winthrop Young, Henry George Willink. 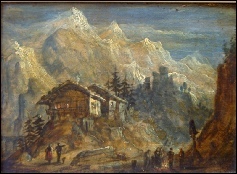 Mountains and Mountaineering in Art & Literature. The range of old books for sale here is probably the most extensive anywhere, especially Alpine classics written by early British mountaineers who formed and became the Alpine Club. Men such as Edward Whymper, Alfred Wills, T.W. Hinchliff. Of all the Mont Blanc narratives A Narrative of an Ascent to The Summit of Mont Blanc 21st. September 1853 by John MacGregor was not published at the time and so I have recently privately published a limited edition of 200 copies which are complimented by fine art prints of the rare Baxter oil prints of the ascent. Mount Everest Books and Mount Everest ephemera are also a speciality. One mountaineering book which was not written in it's own time was that of the Mount Everest Reconnaissance 1935 led by Eric Shipton. This was corrected when I completed writing and publishing the book of this Forgotten Adventure which won the coveted James Monroe Thorington Award for Best Book Mountaineering History at the Banff Mountain Festival 2006. Mountaineering Books - rare and fine Alpine mountaineering books of the Alps, Switzerland, views of Mont Blanc, Mountain Books Matterhorn, Libri Montagna Cervin, Alpinismus Bücher Berge Bernese Oberland, Dolomites mountaineering books, gravure Monte Bianco, Monte Rosa Libri. Libri Cervin, Alpinismus Bergbücher Bernese Oberland, Dolomiti Libri, mountaineering books, gravure Monte Bianco, Monte Rosa Libri.